Going to college internationally? There's some dorm essentials you're going to need to make college living better! When you're going to college internationally, you have a lot more to think about and a lot more dorm necessities on your college dorm checklist that you do not want to forget. We're serious - you really, really don't want to forget about these things. You may not know that all electrical outlets are not the same. Depending on where you are traveling to, the outlets are going to be a little different which means you won't be able to plug in your smartphone or college laptop. Below you will find some additions to your college dorm checklist that are essential to have on hand whether you are traveling or studying abroad. 1 - Plug Adapter - DormCo carries a few varieties of these plug adapters. 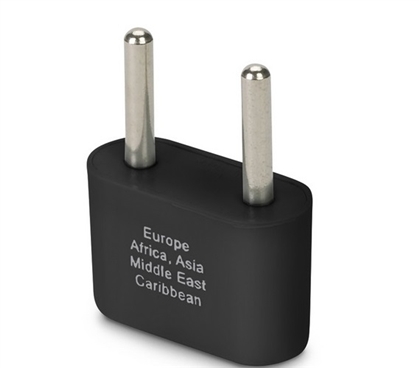 We carry a Europe and Asia Ungrounded Plug Adapter in a one or three pack so you can get as many as you need (remember - you're going to have quite a few dorm electronics you're going to want plugged in at all times. You don't want to unplug something every time you need something else plugged in). We also carry a North and South America Ungrounded and Grounded Plug Adapter. All of these adapters have the same purpose - they convert foreign plugs to fit the outlets in the area you are visiting or moving to. These plugs are also labeled with the regions intended for use so you don't have to try to remember where the adapters can be used. These plugs are safe for tablet and smartphone power cords but of course you also need to remember that international current varies so you may also require a converter for safe usage. 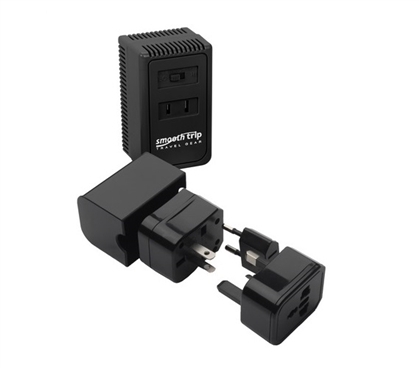 2- 4 in 1 International Travel Plug Adapter Cube and Converter Sets - This handy dorm adapter cube has plug adapters for various countries in one convenient set. Wherever you are going, you are going to be covered for your dorm electronics when you bring this dorm essential with you! Plus the whole set fits in a compact cube so you can keep all the adapters together and not lose any of them. This adapter set converts US Plugs to foreign outlets and foreign plugs to US outlets. This handy set has adapters for North and South America, Japan and the Caribbean, Australia, China, Fiji and New Zealand, Europe, Asia, Africa, the Middle East, and Great Britain, Hong Kong, and Singapore. Whether you're going to college internationally or you plan on taking advantage of a few study abroad programs in college, this is a dorm essential that you won't be able to be without! We also carry an upgraded set that has the 4 in 1 Adapter Plugs plus a converter. This dorm converter has two voltage settings from 220V to 110V for US appliances. Converters are dorm essentials for charging your computer and other dorm appliances whereas an adapter is ideal for your smartphone. 3 - International Adapter Cube with Dual USB Ports - Of course you don't want to go to college without your camera, games, or iPod. This handy cube is super compact. It has 3 retractable plugs to adapt to worldwide outlets and a slide feature so you can choose which one you need. 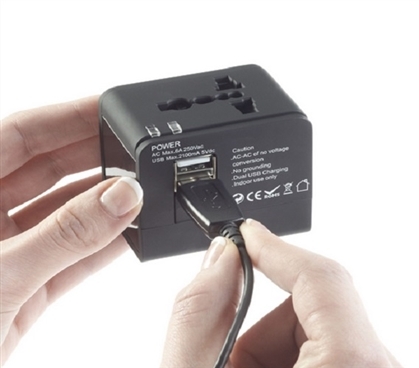 This dorm Adapter Cube accepts both grounded and ungrounded North and South American Plugs and it has 2.1A dual USB ports so you can charge your smartphones and other dorm essentials. When you're traveling or going to college internationally, there are quite a few different plug adapters and converters you need so you can make college living better. Just remember to evaluate how many dorm electronics you are planning on plugging in and what you need for your adapters and converters because you don't want to crawl behind your dorm desk or dorm dresser every time you need to use a different electronic dorm item. 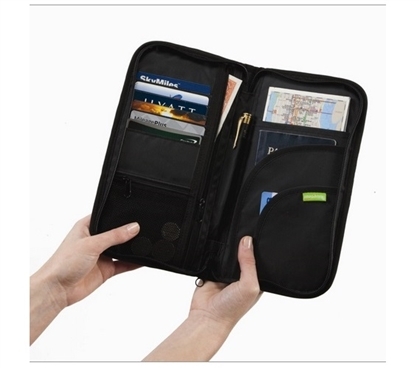 4 - Travel Documents Organizer - You don't want to travel without our RFID blocking Travel Documents organizer. Dorm security is also a concern when you are traveling internationally. When you are on your way to college internationally, keep your passport, IDs, credit cards and cash in this handy organizer. All of your important dorm necessities will be in one place which means you have less to keep track of when you're traveling. There are 12 pockets inside the organizer and a large front pocket to hold your boarding passes. Not only are all your important valuables organized in one place, you are also going to be protected. This dorm necessity has RFID shielding to protect your personal information from electronic pickpockets! Going to college internationally can be a fun and stressful thing. Well - going to college in general is a fun and scary thing. With all the right dorm essentials you need in your college supplies, you can cut down on that stress greatly because there's nothing worse than unpacking and realizing you forgot something! At DormCo we keep you "Covered in Comfort" and as prepared as you can be with the cheap dorm supplies you need!